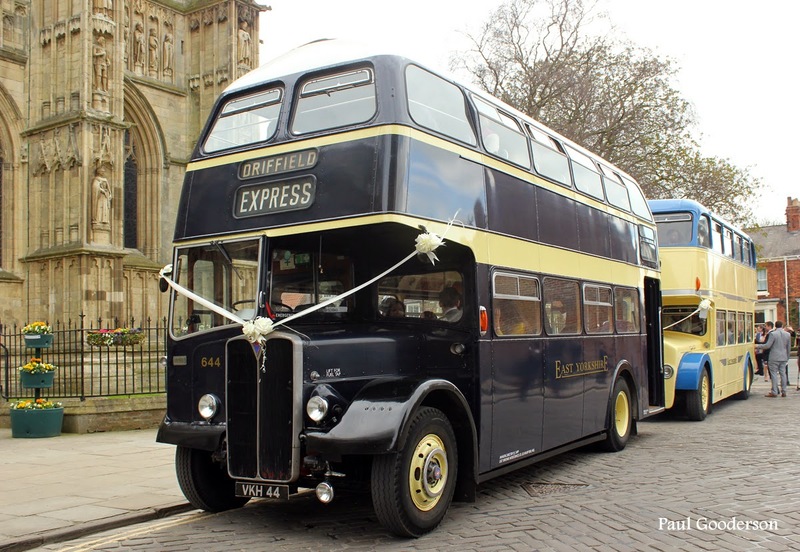 On a recent visit to East and North Yorkshire Paul Gooderson encountered a trio of former service buses on wedding day duties. Two were in Beverley and operated by the East Yorkshire Motor Services (EYMS) company. At the front of the two stood an AEC Regent V that for many years was operated by EYMS in the town, as illustrated by the famous 'Beverley Bar' design produced by Park Royal. Behind the Regent was this rather splendid looking Bristol FS6G with Eastern Coachworks body. However, it was never operated by the company in stage revenue earning service, but looked good in a representation of the fleet livery. And whilst travelling near to Wetherby this former London Transport AEC Routemaster with Park Royal bodywork was found resting between duties in a lay-by. 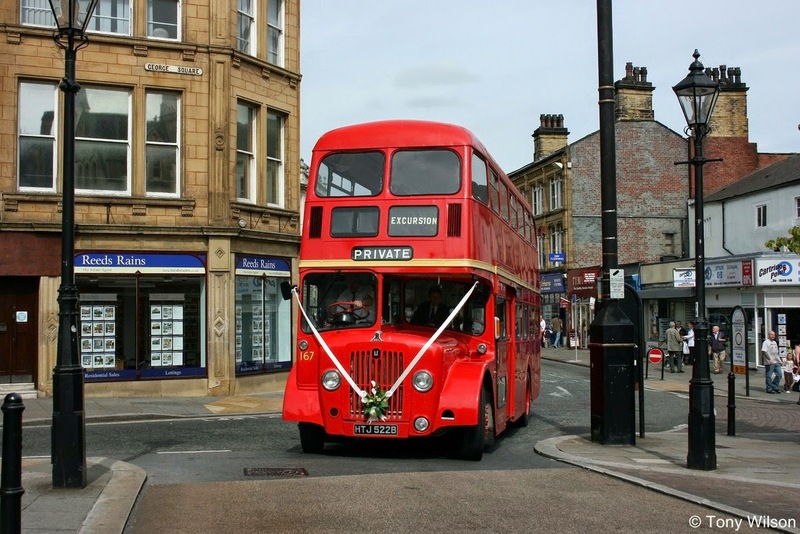 The vehicle is now operated by Red Bus Days of Keighley. Meanwhile, the Focus Transport team have searched the archives for a little bit of history about a couple of the buses. 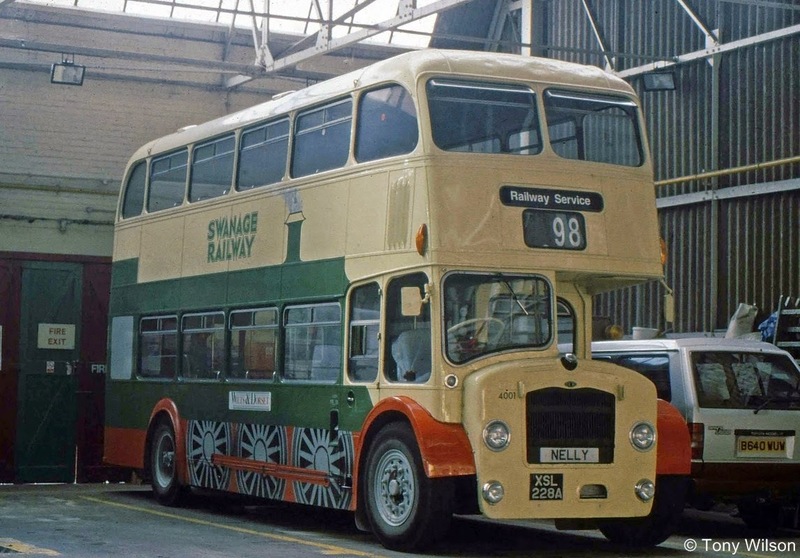 This was delivered to London Transport in May 1966 as RML 2475 and spent almost all of its working life based at Putney Garage until it was sold out of service in July 2005. 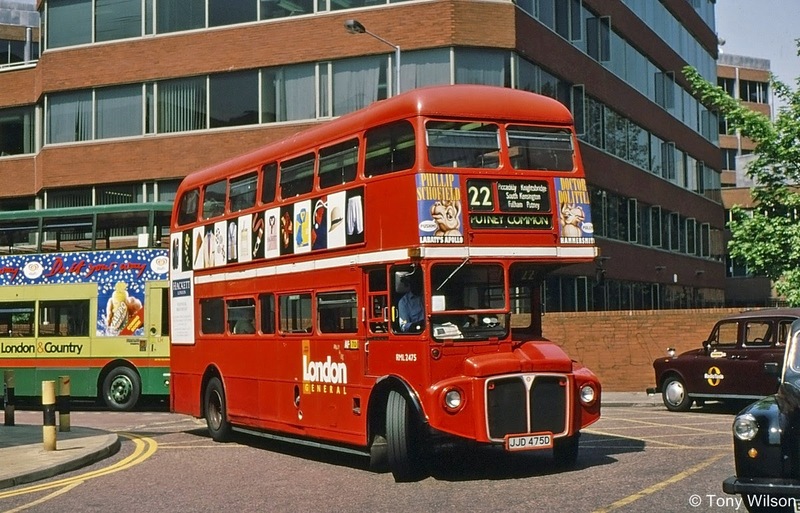 In October 1994 the red bus operations in London were privatised and the bus became part of the London General company. Here the bus is shown as it pulled onto the forecourt of Putney Bridge Station in May 1999. The Bristol though has had something of a slightly more chequered history. 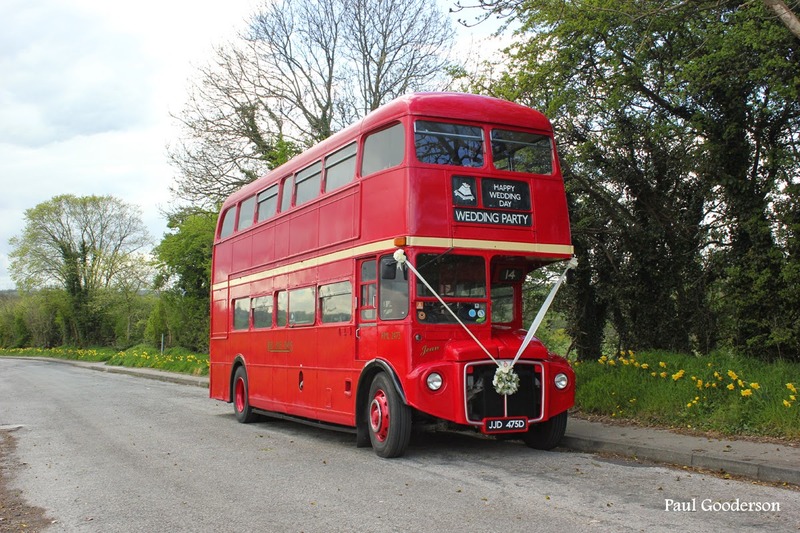 In 1961 the bus was built as a convertible open topper and supplied to the Bristol Omnibus Company, who were later absorbed into the National Bus Company. 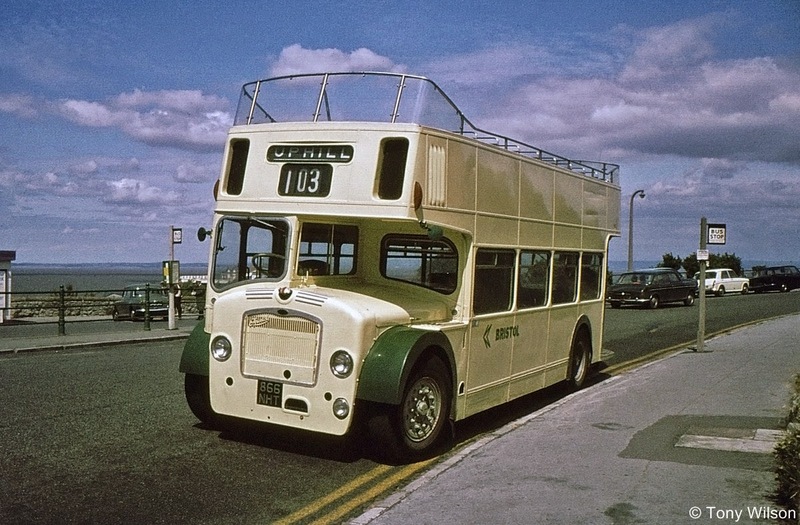 Here the bus is shown in Weston-Super-Mare during the summer season of 1974 as fleet number 8576 and bearing the registration 866 NHT. Along the way though, at some stage the bus was re-registered to become XSL 228A and during its time was operated by the privatised Wilts & Dorset company. Based at Swanage for a while it appeared on a seasonal service that served the preserved Swanage Railway. By July 1993 the bus had become fleet number 4001, and shown here at rest within the small bus garage close by to the railway station at Swanage. Further along the line so to speak (well actually a very long way along the line, from one end of the country to the other), the bus was operated for a while by Dreadnought Coaches of Alnwick in Northumberland, before it went to its current ownership in the hands of EYMS. First is this handsome Northern Counties bodied Guy Arab produced in 1964 for Lancashire United Transport as their fleet number 167. However, by September 2010 it had found its way across the Pennines into private hands and on wedding duties in Halifax. 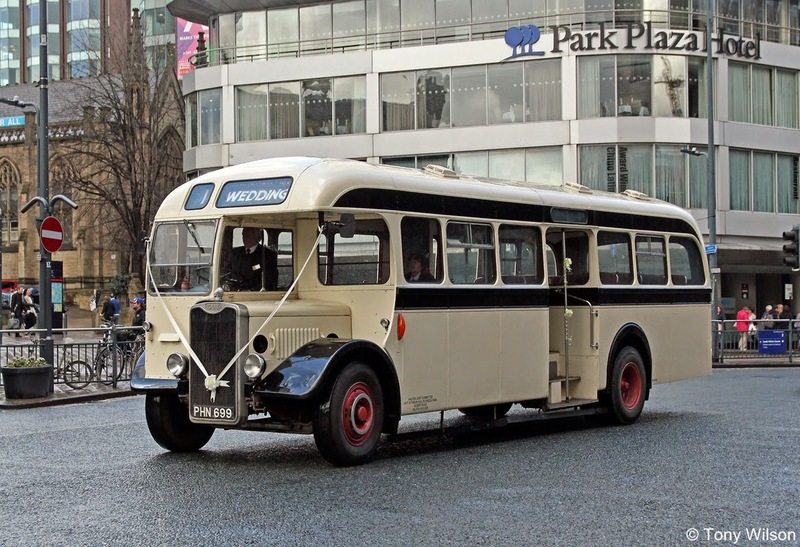 So to our final gem on wedding duties, this time in central Leeds during March 2015 and also captured by the Focus Transport team. Another Guy Arab this time with a centre doored Roe body, and supplied back in 1952 to Darlington Corporation as their fleet number 26. 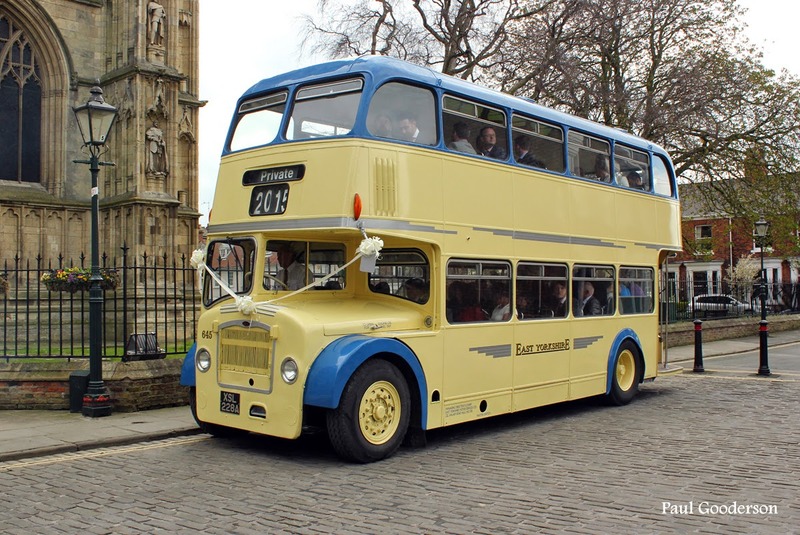 By 1966 it had entered preservation and is currently owned and operated by the Yorkshire Heritage Bus Company. Yours for the asking. Wedding Belles anyone?